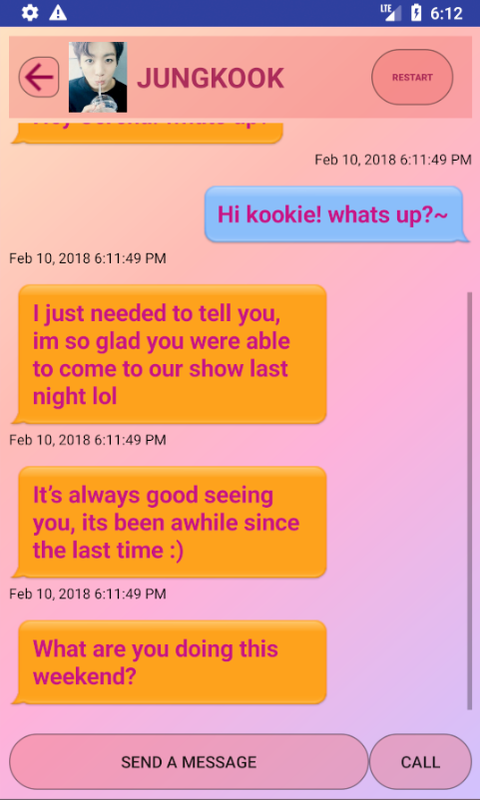 I wanted to share this app I created (only for Android sorry! 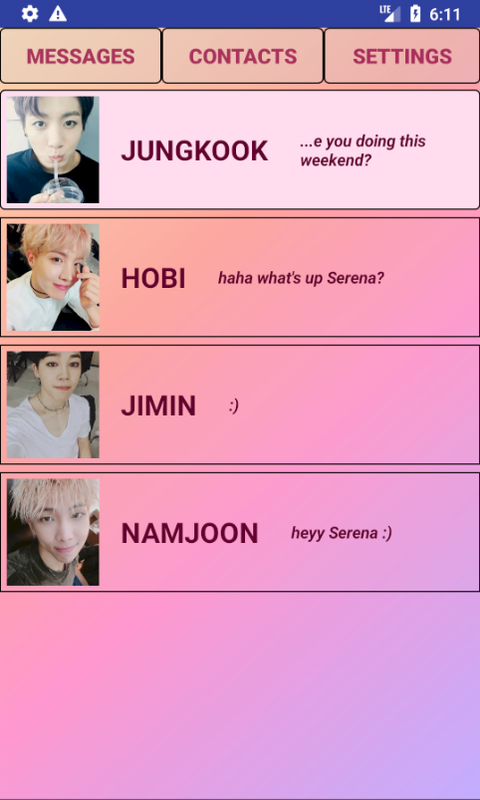 I will make an apple version soon..), where basically you can text and call BTS members in a make believe game and they will respond. Aww! This is amazing. Unfortunately, I’m not using Android. I hope you make one for Apple. Good job! Looks fun, but I don't have an Android. Thanks for gifting this to the ARMYs. I have download it a long time ago~ So , you are the maker? and can you make another group too? like wanna one, up10tion and victon? I can't play the game it's blocked for me. Yeah I'm disappointed but at least nevermind forget about it.